Bookmakers, casino operators and other gambling firms could be forced to fund research into gambling addiction under proposals put forward by ministers. They are consulting on plans to impose an annual compulsory levy of about £5m from June to fund research into problem gambling and treatment for sufferers. Firms have failed to provide the money required voluntarily, forcing ministers to consider compelling them to do so. The bookmakers' trade body said it did not believe a forced levy was needed. Ministers will not make a final decision on whether to impose a levy until after the consultation process has concluded at the start of April. But they have made clear that voluntary arrangements put in place to fund research into problem gambling since 2002 are not working. There is currently a £1.3m shortfall in the £4.5m pot of money that the gambling industry had been expected to contribute this year. The Department of Culture, Media and Sport said such a shortfall would have "unacceptable consequences" for the effective delivery of gambling research, education and treatment. Charities have warned that inadequate funding makes it harder for them to identify those most at risk and to help them. 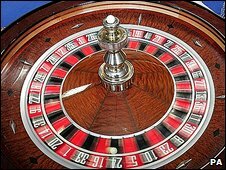 A 2007 survey estimated there were about 280,000 problem gamblers in the UK. The consultation paper sets out how much firms would have to pay and options for how individual amounts would be calculated across the industry. It says £4.76m in funding will be needed this year, rising to £5.34m in each of the next two years. The bulk of the money will go towards treatment for addiction. "Gambling operators have a responsibility to help fund this and it is very disappointing that the industry has so far failed to agree improved voluntary arrangements to do this," said sports minister Gerry Sutcliffe. "If the industry can agree the improved voluntary arrangements in the meantime the door is not closed, but time has almost run out." The Lib Dems said ministers had threatened the industry many times with sanctions since 2003 and it was a "disgrace" that proper funding for gambling help had not been forthcoming. "While some parts of the industry have paid up, the vast majority have shown a complete disregard for their responsibility to fund problem gambling services," said Don Foster, the party's culture spokesman. "Ministers have repeatedly turned a blind eye to the problems their reforms have caused while continuing their hell-bent pursuit of the gambling tax bonanza." Under proposals now floated by ministers, bookmakers could account for nearly half of all annual payments based on the number of premises they operate and the volume of gambling there. Casino and bingo operators, gaming arcades, lotteries, pools operators and online betting firms would also be covered. Ministers said any levy would be fair and proportionate, taking into account the impact of the economic downturn on the industry, particularly the position of smaller firms. But bookmakers said they faced having to pay up to £400 per premises every year. "We do not believe that there is a need for a statutory levy," a spokesman for the Association of British Bookmakers said, adding that it had "been working with other trade bodies to secure a workable voluntary scheme". However, he acknowledged that "attitudes have hardened due to the fact that a number of operators - from all sectors - have failed to make voluntary contributions". A charity providing treatment for gambling addiction said ministers had "significantly" underestimated the amount of cash needed to enable it and organisations like it to do their work. "There is a real need for research into incidences of problem gambling in the UK," said Eileen Kinghan, from Gamcare. "Until that research is funded and carried out it is difficult for regulators to make decisions about what steps to take." But Gamcare said forcing firms to pay up risked alienating them and making co-operation on awareness campaigns harder.